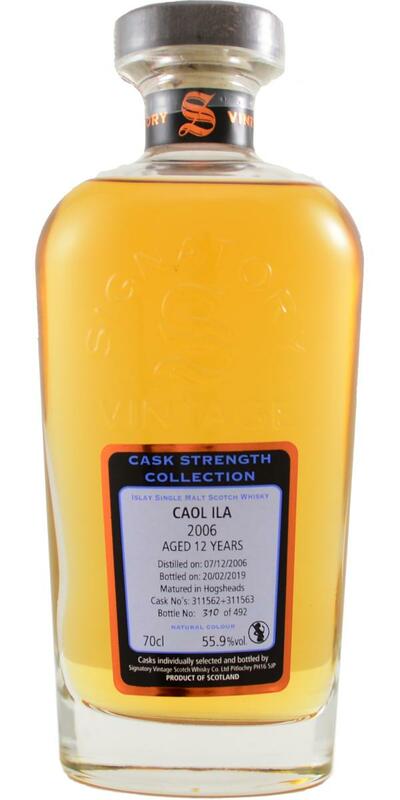 One of the best Caol Ila's in de 100 euro and below category that I've tasted so far. Much more then just smoke, a lot of sweetness and complexity. Love it ! Spicy nose. Once thhe alcohol fades away there comes a wonderful aroma of sweet smoke, some oranges, vanilla and candy. The nose brings me instant to a summer bbq with marinated spare ribs freshly grilled. Totally love it. Smoke, salty seeweed and fresh tobacco again. Wonderful lingering finish that accompagnies you for the rest of the evening. 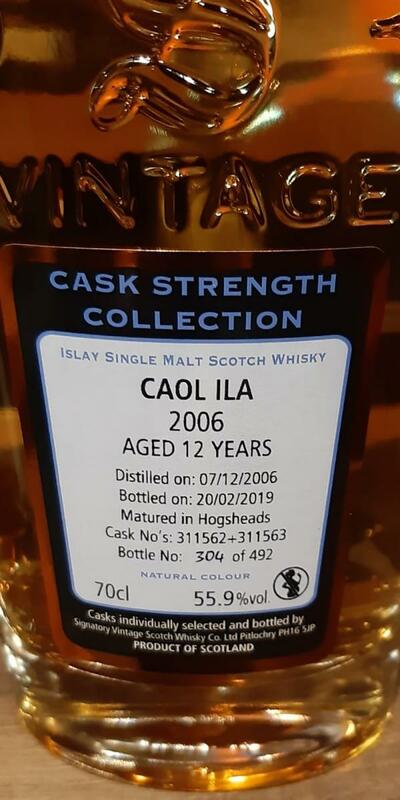 Beautiful Caol Ila, with lots of room for sweet and fruity notes, besides the sweet (peat)smoke. Very enjoyable. Sweet smoke and lots of fruit, citrus, even some candy-like sweetness. Apples, some tobacco. Full body, nice balanced pepper, intense, sweet smoke, honey, some tobacco, peach. Still some pepper, full body still, sweet smoke, honey, oranges, peach. Long finish, with lots of tobacco remaining in the mouth for long after.